Peter David was born on September 23, 1956. Peter David’s novel Star Fleet Academy: Worf’s First Adventure received the Golden Duck Award for Middle Grades in 1994 and his Star Trek novel The Rift was nominated for a Prometheus Award by the Libertarian Futurist Society. 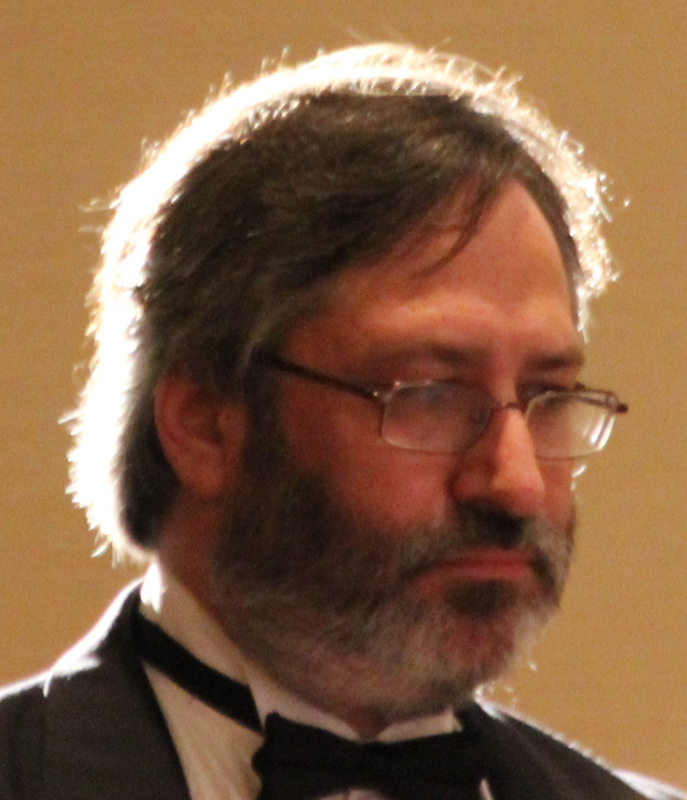 In addition to his science fiction and fantasy, David has written for several comic books, including The Incredible Hulk, Aquaman, Supergirl, and Spider-Man 2099. His television career includes scripts for Babylon 5, Young Justice, and the creation of Space Cases with Bill Mumy. His work in comics has earned him an Eisner Award, a Wizard Fan Award, a Julie Award, and a GLAAD Media Award. In 2011, he was named a Grandmaster by the International Association of Media Tie-In Writers. 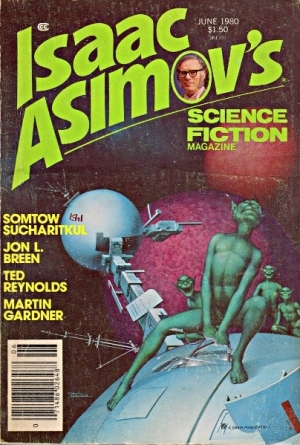 “Alternate Genesis” first appeared in the June 1980 issue of Isaac Asimov’s Science Fiction Magazine, edited by George H. Scithers. It was reprinted by Jim Reeber and Clifford Lawrence Meth in 1997 in the anthology of Jewish science fiction Stranger Kaddish. David uses the structure of the opening verses of Genesis as the format for his shaggy dog story “Alternate Genesis,” in which God creates the world in a topsy-turvy manner, following the guidelines in Genesis, but naming things differently so darkness became daytime and light becomes nighttime with fish created in the sky and birds in the sea, only correcting that latter when it shows itself to be unsustainable. In this version of creation God, a woman, creates Eve in her own image, but when Eve asks for a mate, God ignores her, providing no response or explanation to Eve for the lack of a mate like the ones given to all of the other animals. Eventually when Eve renounces God, God sees fit to offer an explanation, the entire point of the story. Had David relied on just the one punchline at the end, “Alternate Genesis” would not have worked, being too long a set-up for a single joke. The topsy-turvydom of creation, however, allows the long set-up to work and even distracts from the clues to the final joke, making it a much stronger piece. Reprint reviewed in the anthology Stranger Kaddish, edited by Jim Reeber and Clifford Lawrence Meth, Aardwolf Publications, 1997.